This was an awesome trip .. Felt really great .. Highlights of the trip : The awesome drive thru Hassan , shiraadi ghat .. 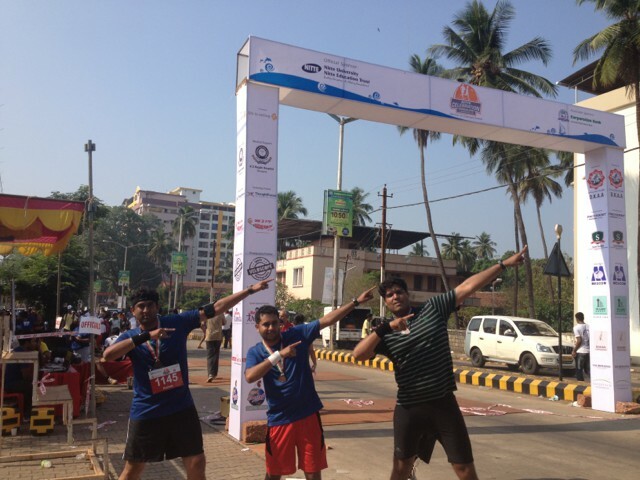 The panambur beach sunset , cute mangalore girls , food at new taj cafe ,Driving around mangalore city , the breathtaking marathon finish , those usain bolt poses , pabbas icecream , awesome kodagu roads .. The refreshing coorg coffee break , basha s surprise entry towards the finish , joladh rotti oota , last but not the least .. The fun we three Sunil, Kumar and me had .. Laughing laughing and laughing ! !